Desiring a journal of contemporary philosophy implies answering to a need, both theoretical and vital. Our need is to produce thought in spite of the generalized crisis we are faced with – an economic crisis, but also a crisis of relationships and of sense – and its closure to any critical or creative alternative, in a contemporary context where knowledge and research are atomised and dispersed. This emergency has allowed the formation of a group of researchers with a common overwhelming passion: Gilles Deleuze’s thought. 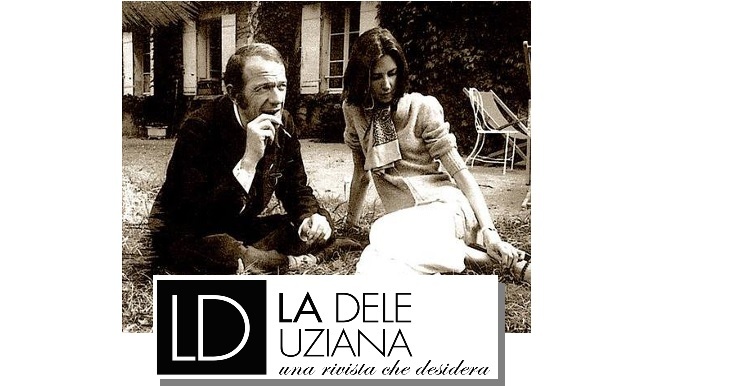 However, we don’t intend to propose a journal about Deleuze or to make his thought an exclusive or privileged territory. Rather, only the spirit of the journal will be deleuzian. 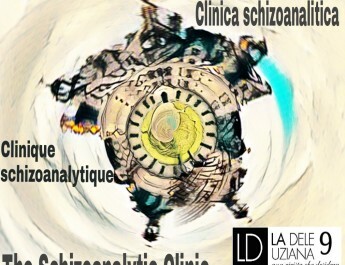 In this sense, La deleuziana wants to be a deterritorialisation of Deleuze’s analysis and suggestions, transposing them in the present and applying them to the conflicts, actual and future, to which philosophy is called to respond. Our desire can only go hand in hand with a further need: to encounter other perspectives and experiment unforeseen alliances, even if improbable or difficult to imagine, which may be needed to breath the possibilities of the future, the very oxygen of thought. The spirit and desire at the origin of this encounter is also what feeds our Deleuzian outlook, which resonates with all its suggestive power throughout the thematic sections of the journal. These sections are named after passages in Deleuze’s conceptual creations: needs (a section hosting analytical articles focused on specific contemporary philosophical perspectives or concepts), symptomatologies (a section looking at social and political problems with an emphasis on how contemporary subjectivities are produced), red eyes (which looks at relationships, encounters and crossings between philosophy, literature and the arts), regions (where the relation between philosophy and areas such as science, technology and medicine is investigated), new weapons (presenting novel perspectives and hitherto unpublished work by contemporary researchers), anomalies (texts that don’t refer specifically to the monographic theme of the current issue, but that we consider urgent in the precise moment of its edition), and finally precursors (that launch or anticipate the subsequent issue’s theme). This dynamic has already been set in motion in the theme of the pilot issue. Our first theme is drawn from an emblematic deleuzian notion: the critique of creativity. Even if treated by authors who are not always closely aligned with his thought, it is the very multiplicity of points of view presented that will offer this question multiple modes of becoming. Moreover, the theme of creativity itself comes to us in the form of an encounter between heterogeneous singularities gathered around a common desire: to think (in) contemporaneity. This encounter took place in September 2013, at a philosophical workshop attended by eight scholars. It was in Forlì, during the 20th edition of Crisalide, a festival of performance and philosophy directed by the group Masque teatro. On this occasion the participants worked hard for three days, crossing analysis, critiques and propositions around the theme of creativity. They talked about its decadence due to markets and current economic policies, but also about its possibilities and about the need of an authentic creation – in terms of arts, concepts, politics – in the age of cognitive capitalism and the loss of imagination. It happened to be a tight exchange, strained but also honest, fertile and stimulating, to the point that they promised to continue these works through other means, and to push their confrontation further in writings and essays. Hence this pilot issue, whose title “Critique of creative reason” is the homonym of that workshop, accomplishes this promise. The elaboration of this theme did not stop here. We have expanded the original nucleus toward a multiplicity of contents, through the implication of many other philosophers and researchers from different nationalities. This pluralisation will animate all future issues, mirroring the international character of our editorial board and its desire to involve an ever-increasing network of scholars. We know that “Critique of creative reason”, being a pilot issue, cannot correspond perfectly to the journal’s selection criteria. But, starting with the next issue, contributions responding to a public call for papers will be selected through a blind review by a large group of international referees. This should guarantee the rigour and plurality of the contents.